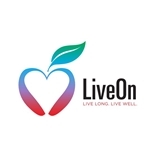 LiveOn Medical Center (McDonough) - Book Appointment Online! ANNOUNCING NEW EXTENDED HOURS! Our office hours are M-W 8a-6pm and Thursday-Friday 8a-5p. Today you can feel younger, live longer, and be treated right by your family physician. We are conveniently located in McDonough and we offer state of the art family medicine with convenient same-day appointments. Want to reduce the number of medicines you are on? Want to feel better and live longer? Learn how to prevent or reverse heart disease, reduce the risk of cancer, and really be treated right by your family practice team. There is every reason you can literally live longer and healthier. Book an appointment today!